Arranging parking at any airport can be an absolute nightmare, but this this is particularly true of Malaga Airport, the fourth largest airport in Spain. On-site parking can be very expensive with questionable security, and unless you know the airport well, you might have a fair trek with your luggage before you reach departures. That said, leaving your vehicle with one of the myriad of off-site parking firms is not without its pitfalls. Many parking firms have local offices where you might leave your vehicle, only to have them move it some distance away in your absence. You have no idea where it’s been, who’s been in it or what they were up to in there! Here at AurigaCrown, we understand the concerns of our Malaga based customers, who want to know their cars are safe and secure while they’re away, and will be ready and waiting for them when they return to collect it. That’s why we’ve opened up our extensive facility to offer secure, short and long term parking just outside Malaga Airport. We offer competitive rates at a convenient location just 500 metres from the airport, which is all indoors, fully insured and has 24/7 surveillance watching over your vehicle while you’re away. We take you, your luggage and any passengers to the airport via our convenient shuttle bus, and we’ll collect you on your return. Unlike other firms, we NEVER move your vehicle away from our installation, so unless you take advantage of one of our range of service options, you’ll collect your car from exactly where you left it! For your convenience, we also offer a range of additional maintenance and valet services for your car which we can carry out while you’re away. These include battery charging, oil changes, air con refills or even a full service. You can ask for a no obligation quote when you make your booking, or ask one of the team when you arrive with your vehicle. 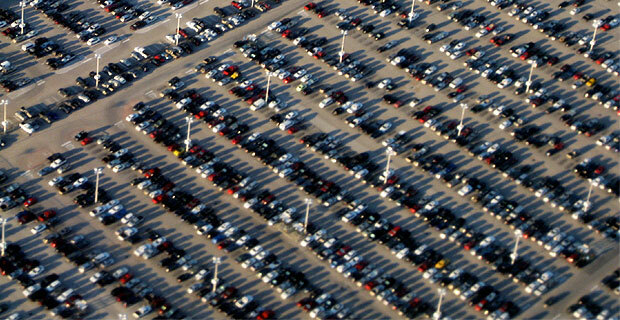 Arranging your Malaga airport car parking couldn’t be easier. For low cost convenience and priceless peace of mind, contact AurigaCrown today on (+34) 952 175 095 or email parking@aurigacrown.com.